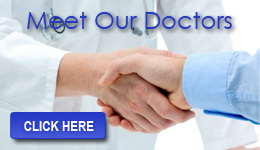 Recently we incorporated 3D diagnostics technology into our practice. This innovation improves our ability to get the excellent results that have been the hallmark of our practice. We also are now seeing more efficient and shorter treatment because of the more precise information we are getting. Some information has been disseminated regarding the increased exposure that this technology can require, and that this might be potentially harmful. Early types of machines did require increased exposure for patients. For this reason, we refrained from introducing it. Reducing exposure has always been important to us. Our long term patients may remember we were the first on Long Island to introduce a technology that allowed us to get important diagnostics without X-rays. The latest 3D machine, the i-CAT FLX, that we have introduced in fact gives us more complete multidimensional information with significantly LESS exposure than any conventional or digital (the latest) type of X-Ray. In fact, we get information about the jaw structure, dentition, airway, TMJ, and facial features at equivalent to the background exposure we ordinarily might get walking back and forth to our cars during the day! We have already found these images to reveal information that we would not have picked up previously in some instances that we were able to intercept from causing later concerns. We are proud to maintain our tradition in providing the finest in orthodontic technologies available where they help our patients. 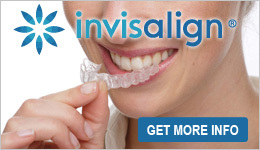 Our office has also incorporated the newest technology that enables getting Invisalign or braces even simpler. A new device called The Element avoids the need for taking impressions (molds). It is noninvasive, more accurate, easy, and slick. We are among the first to incorporate this clinical step forward, and streamlines the entire process of orthodontic care. Be sure to ask us how easy it can now be to get started with treatment or get new retainers. We are always proud to lead the profession with new approaches that can benefit you, our patients!